We have reached a new week of the eighth season of the Fortnite Battle Pass as soon as a number of new challenges are available that players must complete if they want to earn a few more stars to progress and unlock more skins and other items. 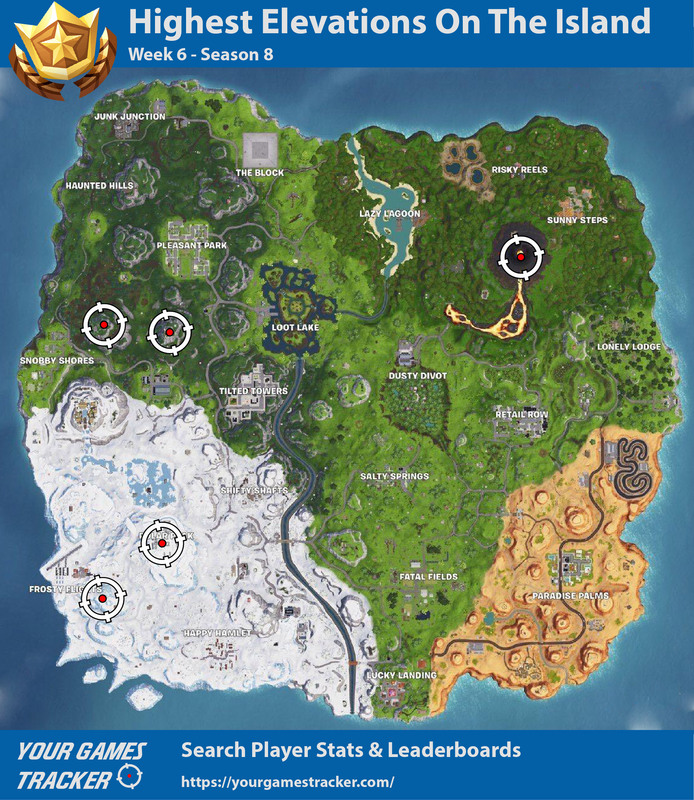 Like the other weeks of this season the challenges are not very complicated, but there are one or two that give more work or whose solution is not very clear at the beginning, as the place where the knife points on the map. In this article we focus on the task of visiting the five highest elevation markers on the Island if they are regular right players who remember that this is not the first time they need to visit the highest places on the map. On the island there are numerous high points so it is natural not to know which are the highest of all, not to waste time trying to guess which are correct continue reading this article and know the exact locations.